PU stress ball with great elasticity, baseball shaped, smooth surface, soft touch feelings. 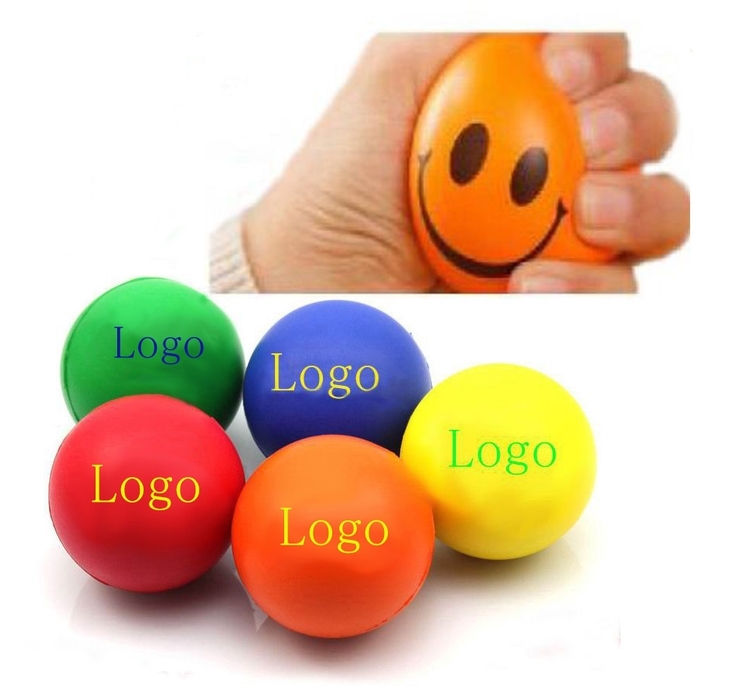 2-3/4" diameter size, easy to be hold by your palm, nice product and promotional gift for your staff and custom to get a relief by press this ball.Perfect for getting the promotional ball rolling, our Colorbrite Stress Balls are available in a rainbow of colors to meet your needs. Each stress ball is handcrafted and may vary in size and shape. 100% consistent imprint and PMS matches cannot be guaranteed. Ink will fade with use and base material may bleed through imprint. Price includes 1 color 1 side 1 location with silkscreen imprint. Package: 12 pcs/opp, 360pcs/ctn, 500 lbs/ctn.